In a world full of logical people making sense out of everything, it's easy to always strive to be as practical as possible. We stopped looking for all the magic which surrounds us every day as long as we choose to look. Luckily, there are people out there like Luna Lovegood who teach us to stop and smell the roses every once in a while, or in her case, to stop and gaze at the beautiful zombie equines called Thestrals. If you're less of a Hermione-person and more of a Luna-person, (AKA you're a dreamer who believes in the unbelievable) then channel your inner witch with the Luna Lovegood wand. We're can't guarantee it will cast any spells (actually, we know it won't cast any spells) but the world will seem just a little bit more magical while holding it. 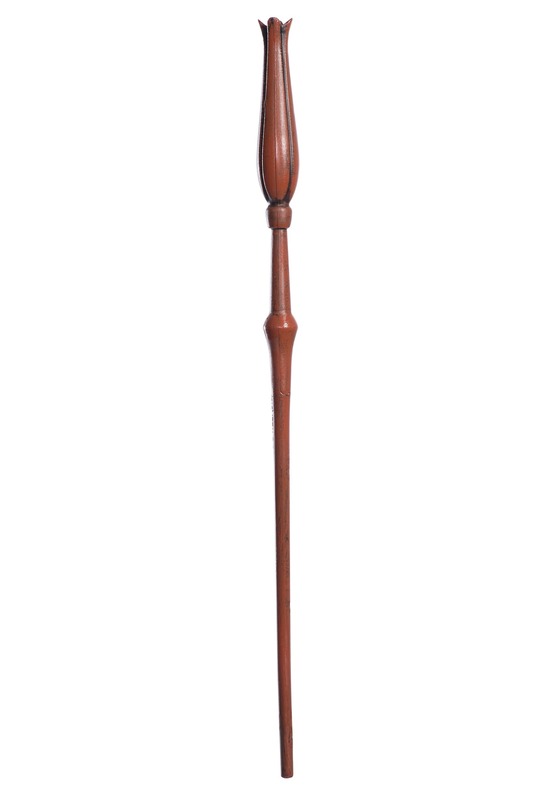 The officially licensed wand is approximately 14.5 inches tall and lightweight, crafted to look exactly like the character's wooden wand with a petal-like handle and a slim tip. Use this bewitching wand as a prop to go with your Luna Lovegood costume. It looks great with a pair of Spectre Specs!